The PCB for the guitar neck has been significantly improved. We added LEDs to indicate/illuminate the selected key and scale that the guitar is set in. There is also a 3.5mm stereo Audio In jack to play music from your mobile device through the guitar’s built in speaker, so you can play along to recordings of your favorite songs. Here is a shot of what you would see when mounting an optional mobile mount at the top of the neck (for those of you who expressed interested in headstock, this is where a (to be designed) optional headstock could also be mounted). Through user testing we found that people were having to extend their arm a bit too far than was comfortable to reach for buttons in the first fret, so we shortened the neck for more ergonomic playing. 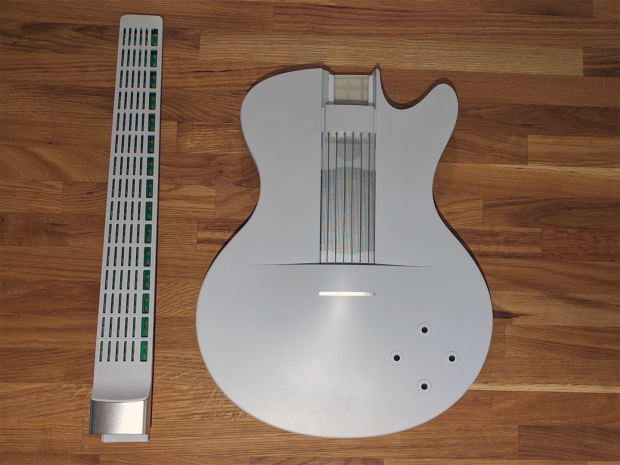 We also decided to eliminate the backlight on the fret numbers, as that caused the neck to be larger than we wanted (we kept the key and scale light indicators). The benefit? A slimmer neck for easier play. Here is a photo of our latest prototype (assembly still in process) with the neck detached from the body. 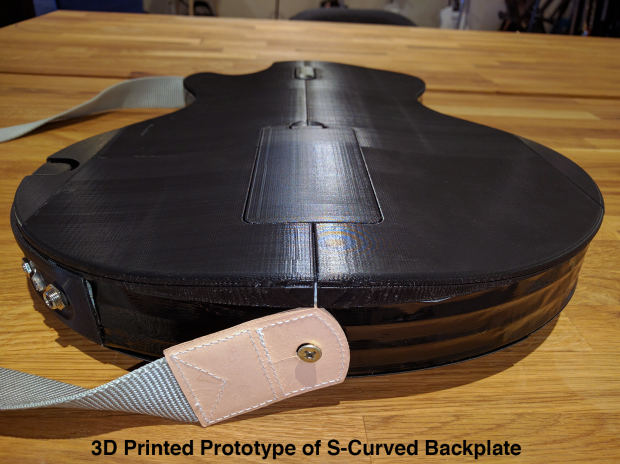 Last but not least, we’ve slightly increased the size of the guitar body by giving it a curved back to accommodate our custom speaker which was designed by an audio engineer known for designing high-quality speakers. 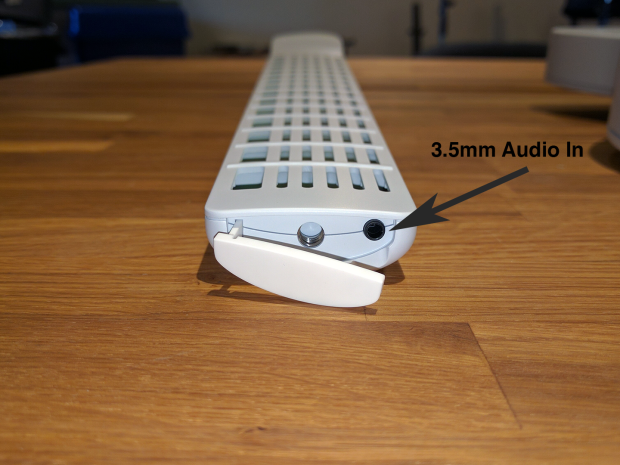 We still need to do some fine tuning and can’t release the specifications just yet, but it will be better sounding, and also more energy-efficient than the current speaker we have in our prototypes. Next step is building and testing the latest prototype with the pre-production PCBs and get it production ready. That’s for now! We hope everyone is having a great and happy summer. Share your email and mailing address to receive a free 🎁. We will not spam or sell your information to third party services. © 2019 Magic Instruments, Inc. All rights reserved.